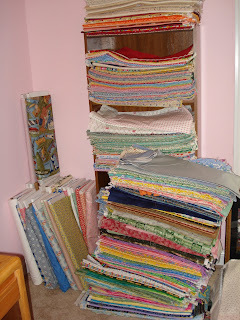 Spun Sugar Quilts: What I need to organize and sort UGH! http://thedomesticdiva.wordpress.com and select SEWING ORGANIZATION under Categories. This tells me I'm not alone in my fabric addiction. It can actually be fun, that's when I usually discover long lost goodies and fabrics that I forgot I even had. 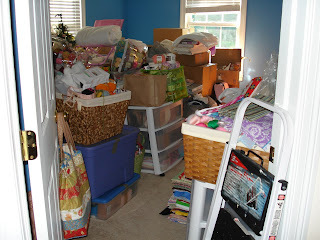 Good luck organizing your space. By the way, I love the little pincusion in the previous post.